The UK and US have expressed their dismay at China’s aggressive handling of foreign diplomats and journalists attending the high-profile trial of civil rights lawyer Pu Zhiqiang in Beijing. Earlier this week shocking video footage and photos emerged of police violently shoving and attacking correspondents trying to gain access to the courthouse. Senior US diplomat Dan Biers was also prevented from giving a statement outside the courthouse calling for Pu’s release. The incident was captured on video by a Guardian correspondent at the scene. Pu is facing eight years in jail for sending seven posts criticising China’s government on the social platform Weibo. The case has grabbed headlines all over the globe as it is seen as a landmark trial on free speech in China. The incidents have drawn strong international criticism and further damaged China’s reputation regarding liberty. President Xi Jinping's severe ongoing crackdown on corruption being criticised for also clamping down on human rights. 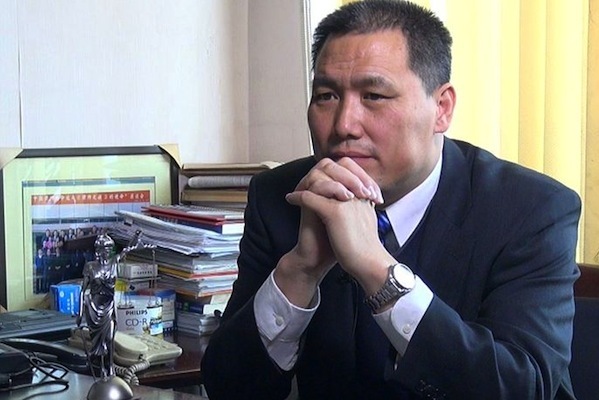 The UK Foreign and Commonwealth Office said in a statement: "We are extremely concerned by events surrounding the trial of Pu Zhiqiang on Monday. The physical mistreatment of British diplomats and journalists at the hands of Chinese security services was completely unacceptable." The FCO went on to question the fairness of Pu’s trial, given that foreigners were refused access. According to Reuters, US State Department spokesperson John Kirby said the US was "dismayed with the physical harassment of Chinese and international observers, including journalists and diplomatic personnel outside the court house". However, several media outlets reported that China held firm on its actions. Foreign Ministry spokesperson Hong Lei said the foreign personnel "should have cooperated" with China’s security forces. Morever, "foreign governments have no right to interfere in China’s judicial sovereignty", he said at a press briefing following the incident. Tarun Deo, Golin’s managing director for Singapore and Southeast Asia, said while such events will always have a negative impact, China’s position remains very clear. "Any kind of violence or violent intent displayed against unarmed people and caught visually in most instances means you lose public trust, reputation and empathy no matter what the provocation may be," he told PRWeek Asia. "Be that as it may, China is very clear about what their rules are and will continue to promote them and see that they are enforced. Those that disagree can rebuke and protest as is their right to do so." Deo added that the trial incident is one of many ongoing issues in a wider context regarding China’s international reputation. "This is being played out across many scenarios at the moment – China’s view of the internet and the issues in the South China Sea to name a few. So there is more of this to come as all parties jostle for positive mindshare among their key stakeholders as they publicise their points of view." Rachel Catanach, senior vice president and managing director of FleishmanHillard in Hong Kong, said generally UK-Sino relations have been cordial, evidence by the "red carpet" that was rolled out for Xi when he visited in October. "However, this latest response by the UK underscores how strongly the West holds the belief that freedom of speech is a fundamental tenet to be recognised and respected. In this case, the UK government probably felt it could not ignore China’s actions as doing so would be received badly by its own constituents." There are also PR upsides for the UK government in coming out against the incident, Catanach told PRWeek Asia. "It could be also a tactical move by [prime minister David] Cameron to avoid domestic criticism that he is too cosy with the Chinese government. From a reputation standpoint, neither government is likely to let this issue get in the way of the larger ongoing relationship."